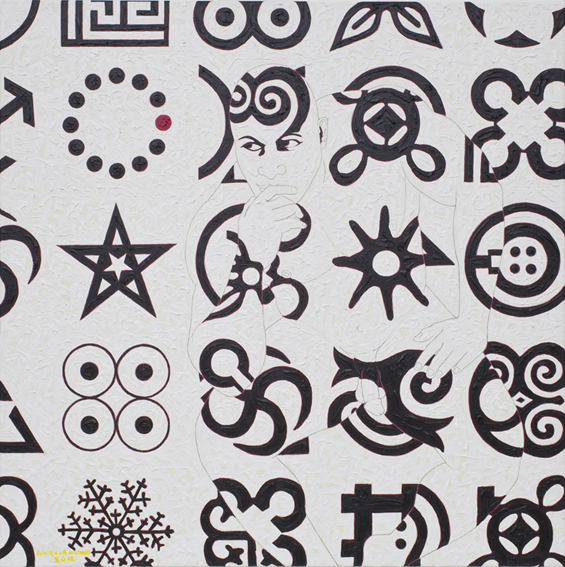 Owusu-Ankomah (born 1956 in Sekondi-Takoradi) is a contemporary Ghanaian Artist. 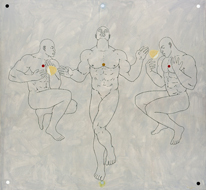 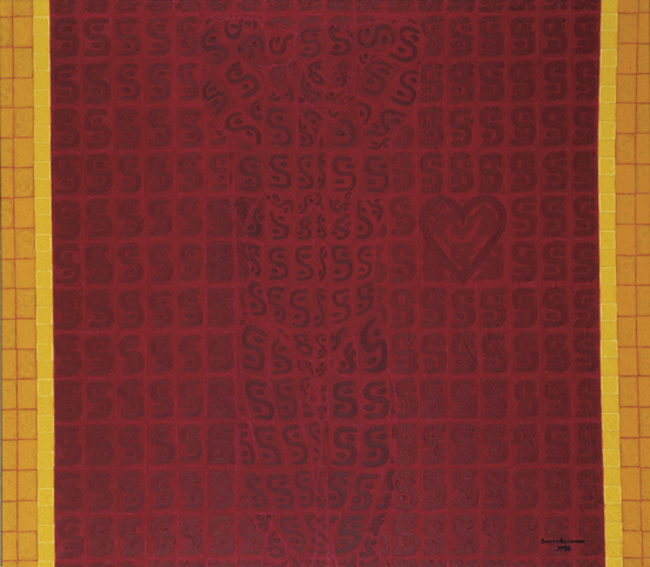 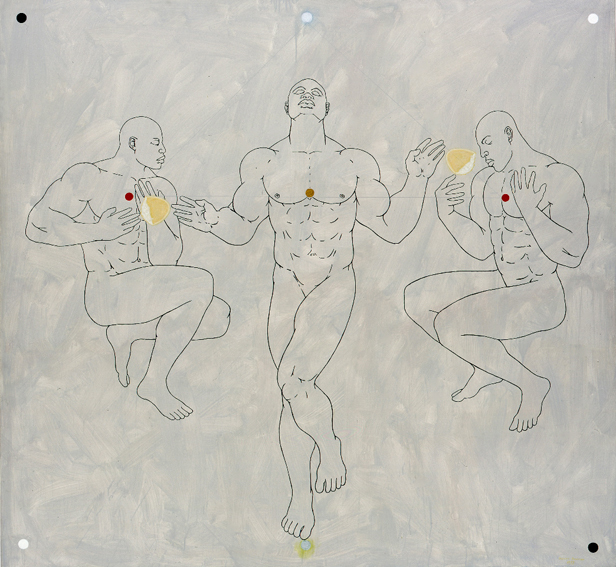 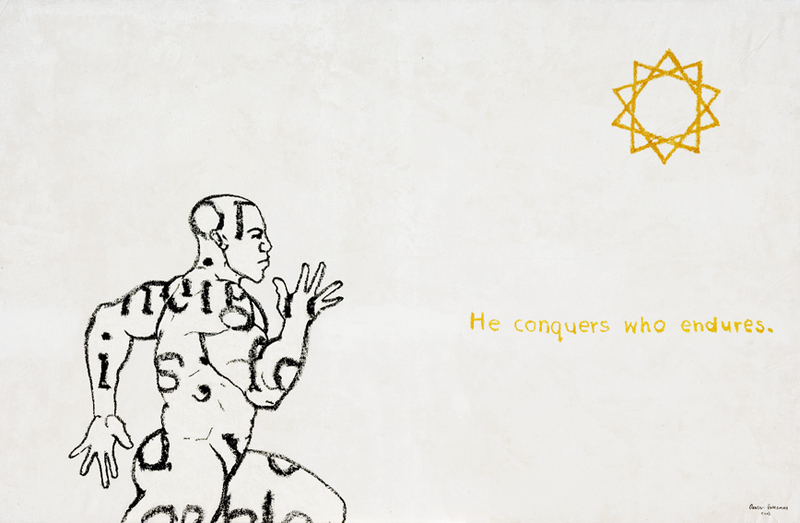 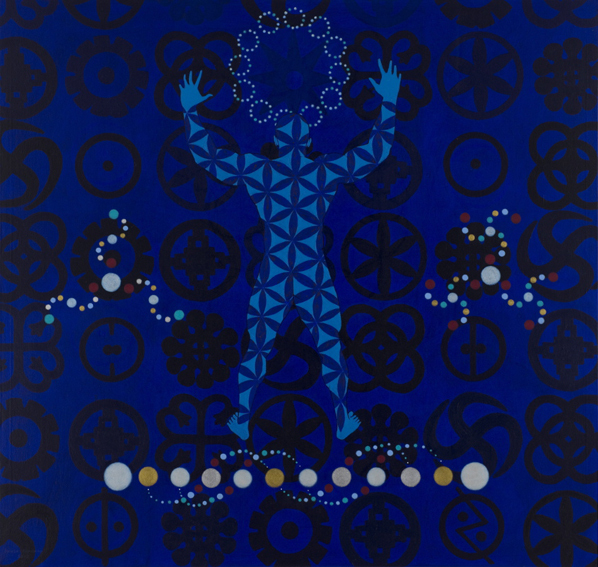 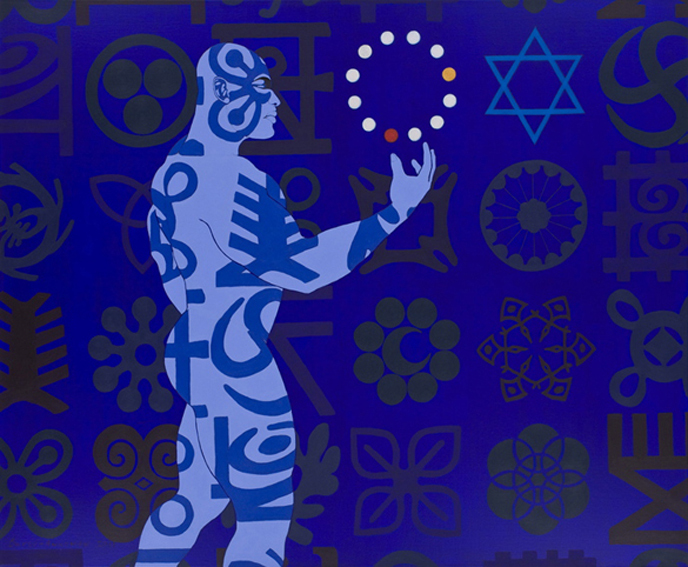 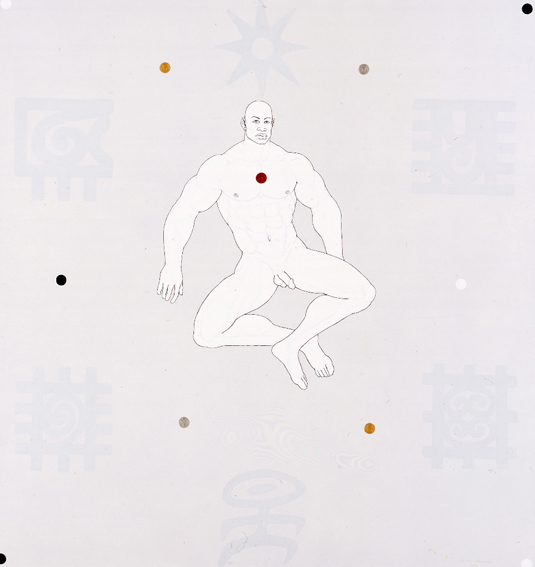 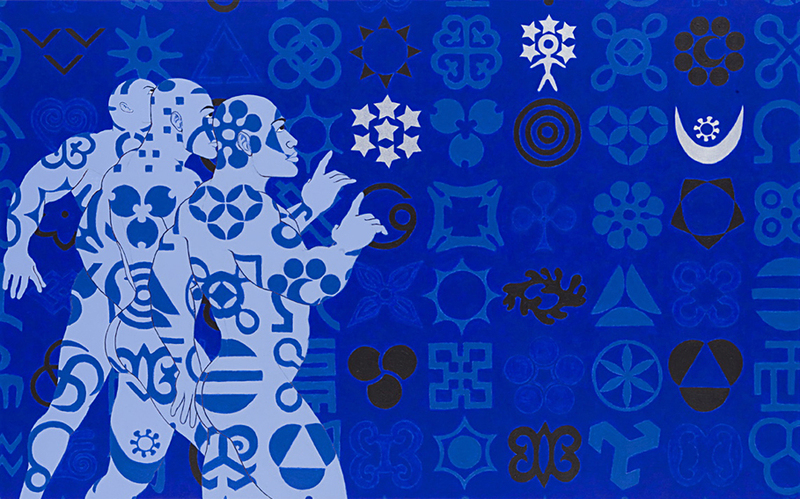 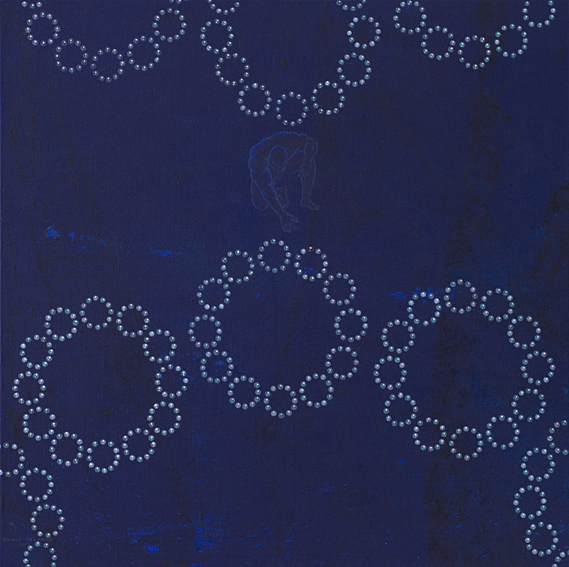 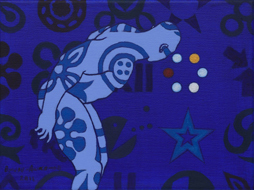 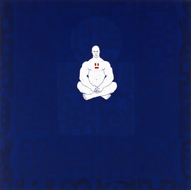 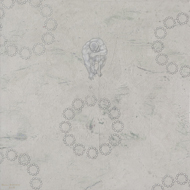 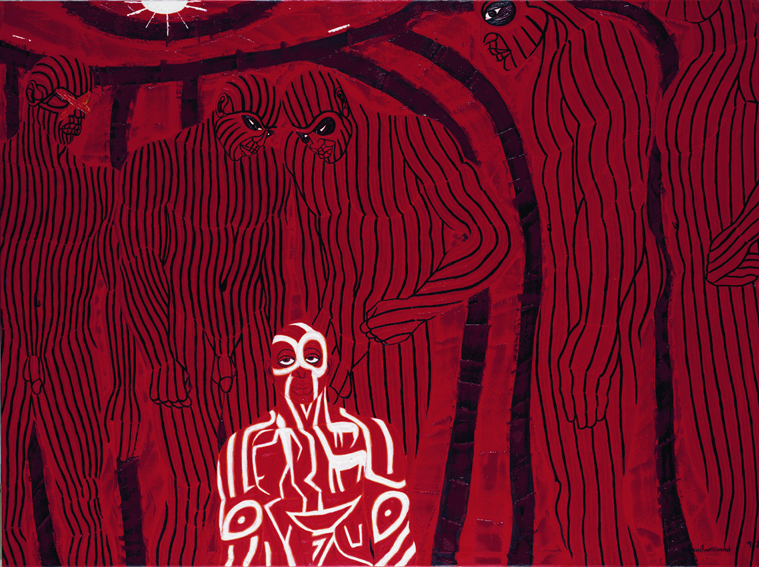 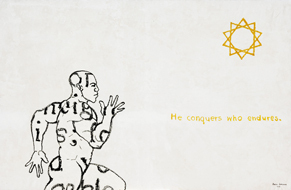 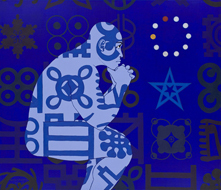 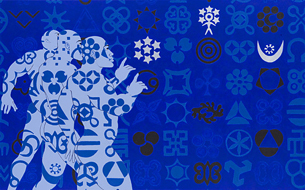 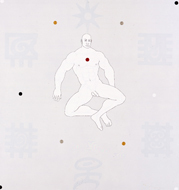 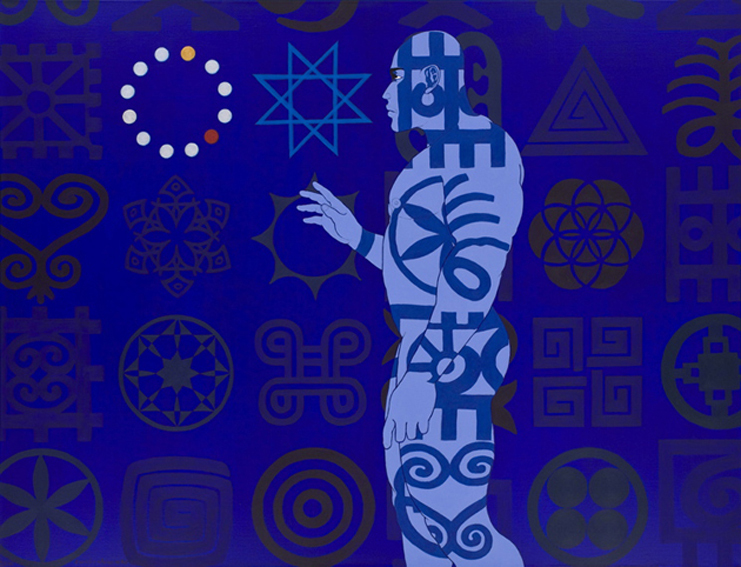 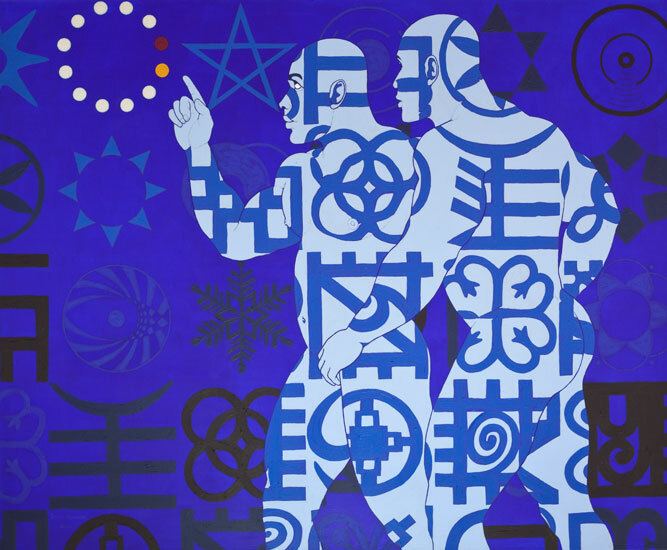 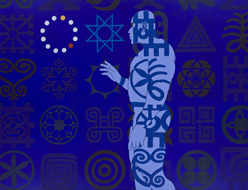 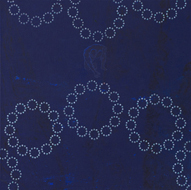 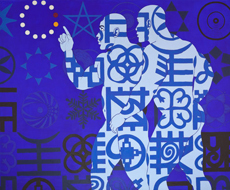 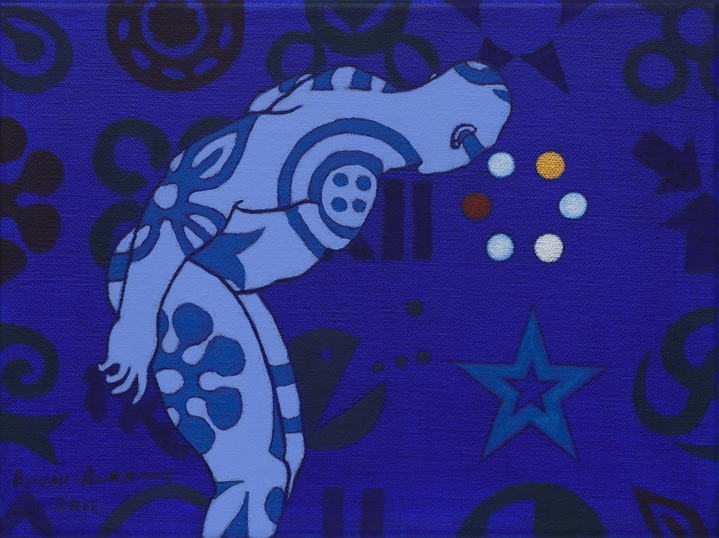 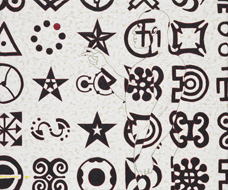 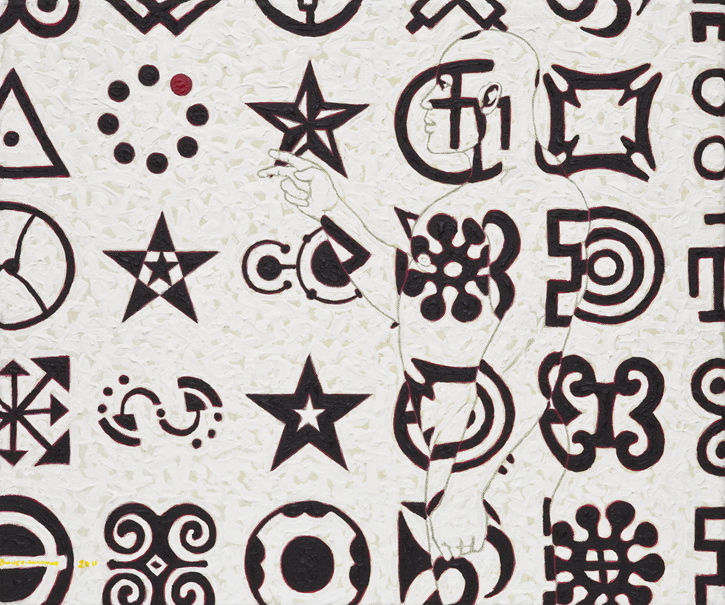 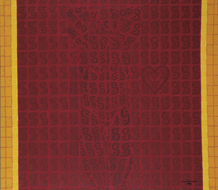 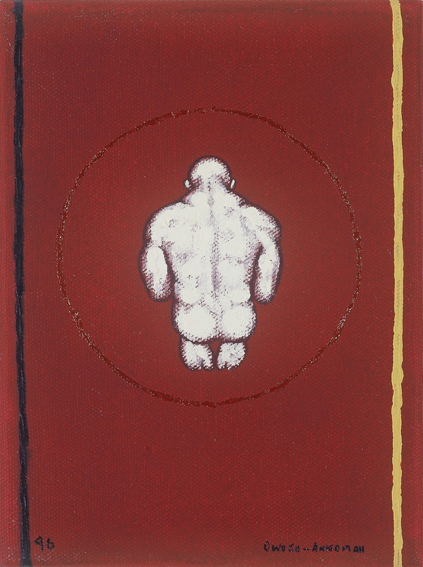 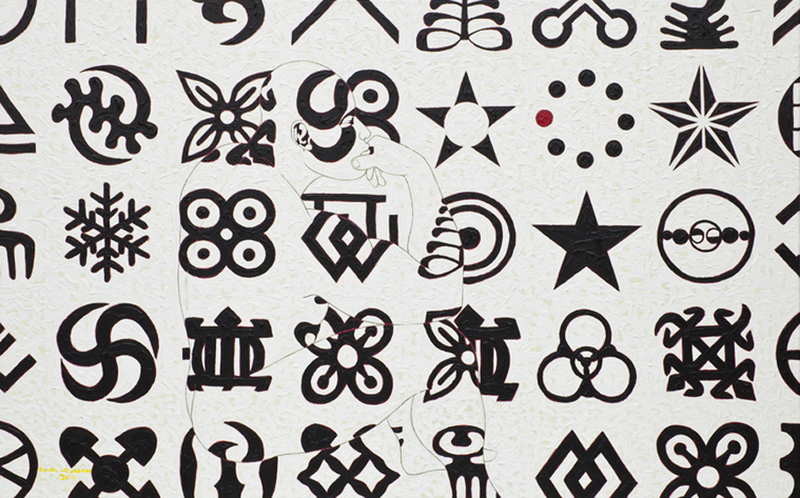 His work addresses themes of identity and the body using his trademark motif of Adinkra symbolism. 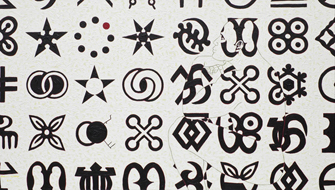 Between 1971 and 1974 Owusu-Ankomah studied at the Ghanatta College of Art in Accra, Ghana. 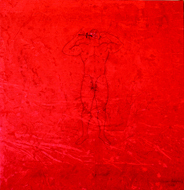 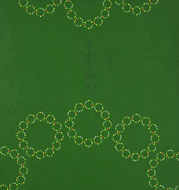 Beginning in 1979 he embarked on a series of journeys to Europe, making contact with European artists and galleries. 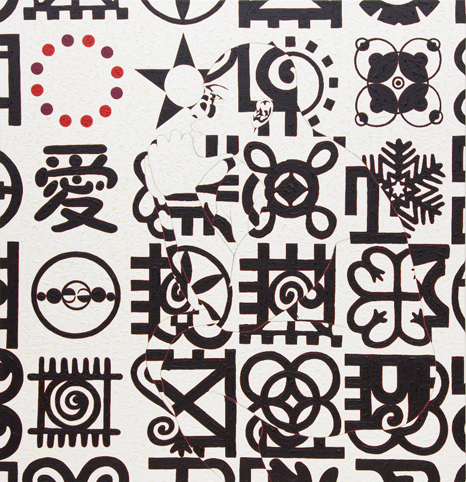 Since 1986 Owusu-Ankomah has lived in the city of Bremen in Germany. 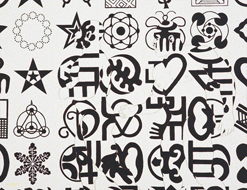 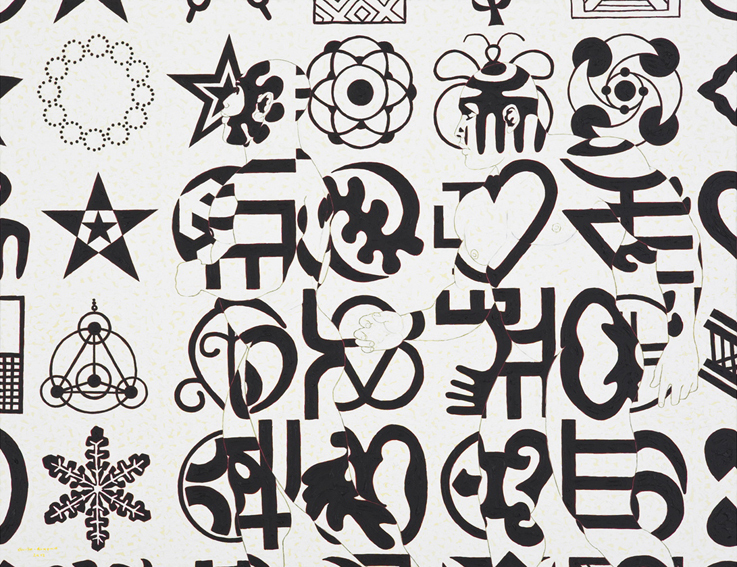 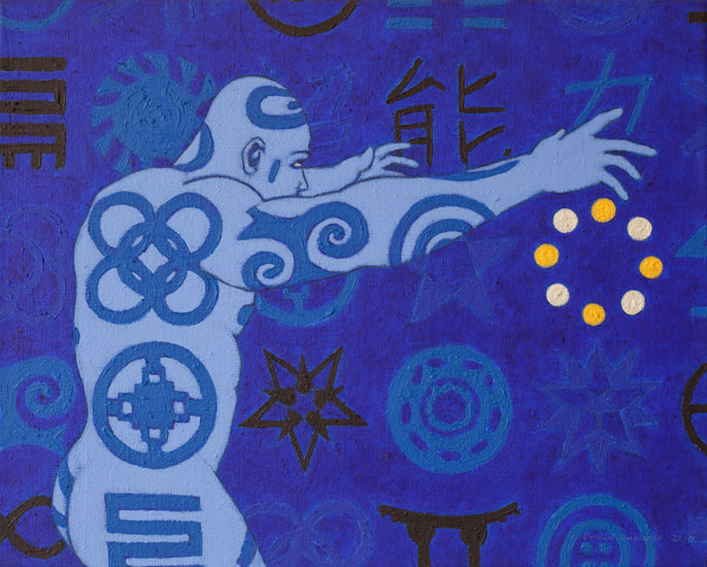 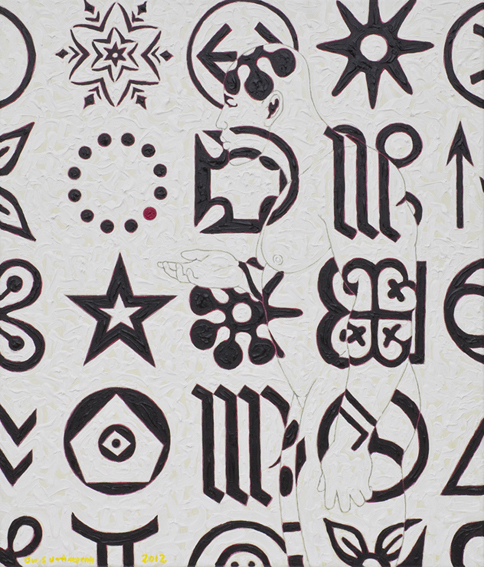 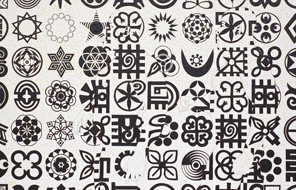 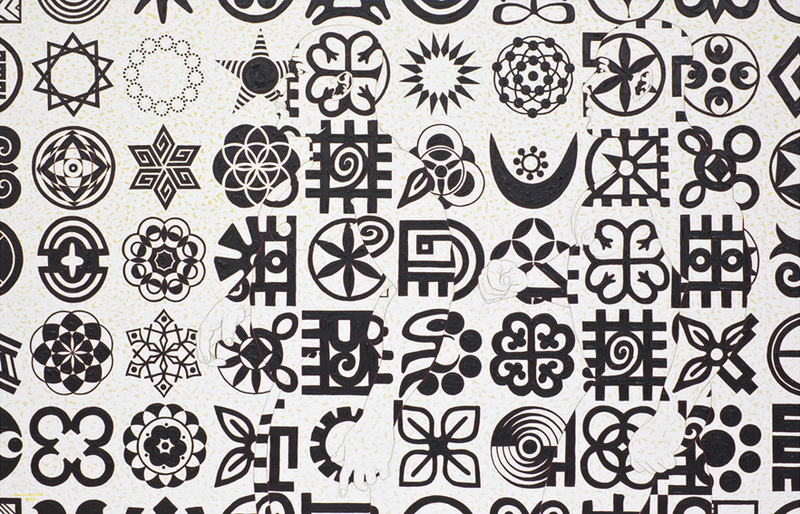 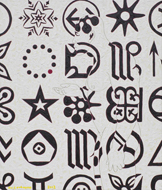 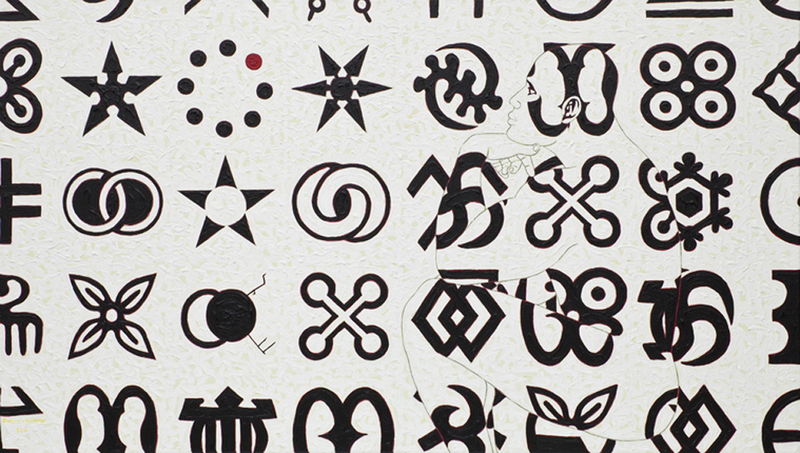 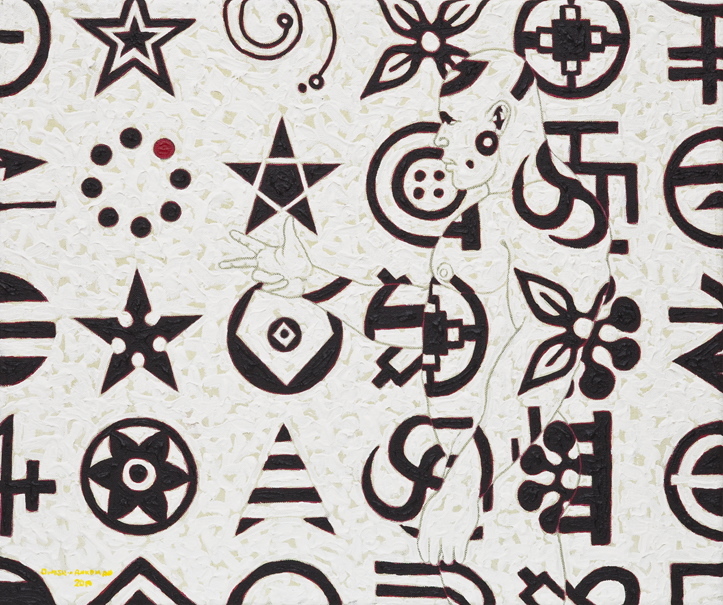 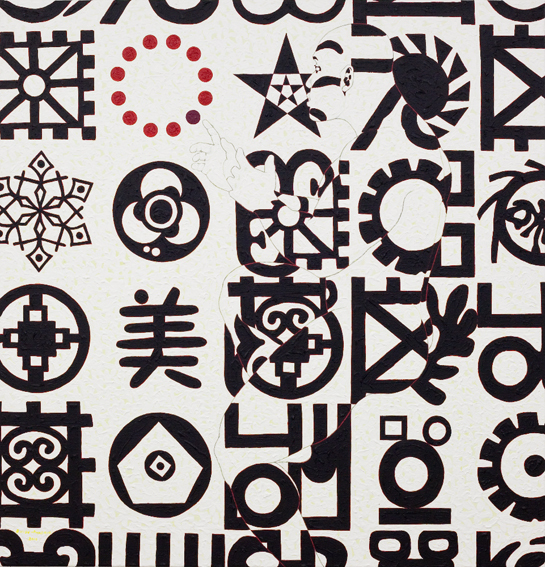 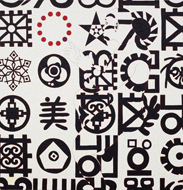 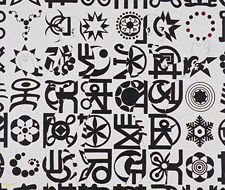 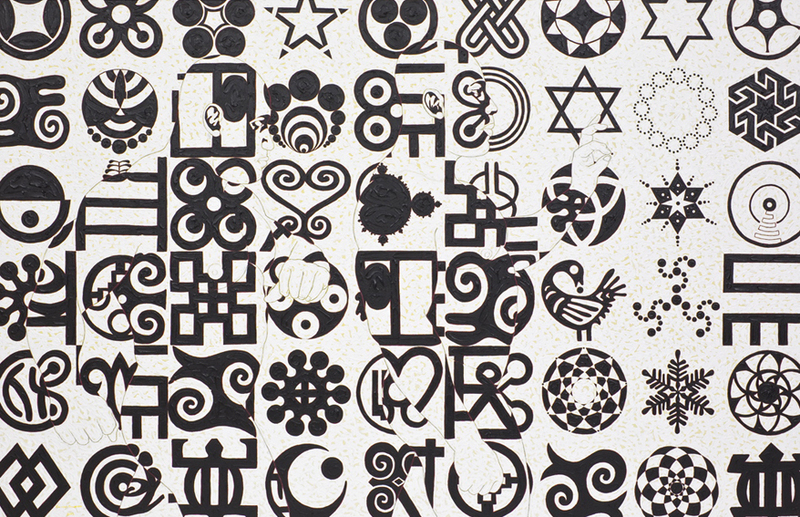 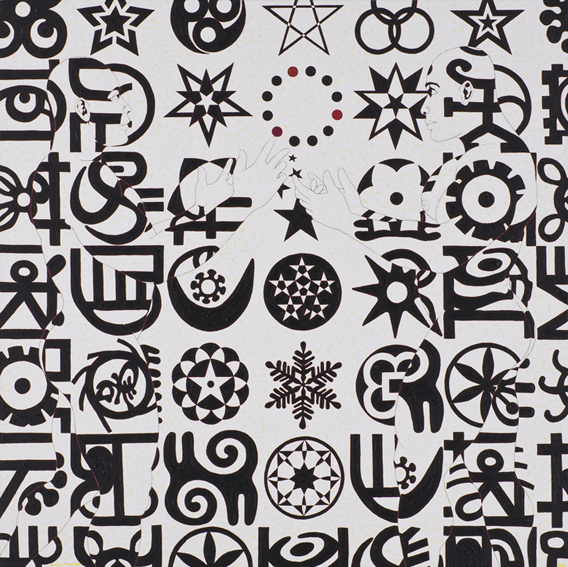 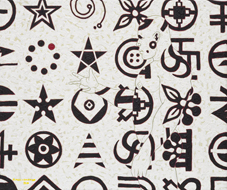 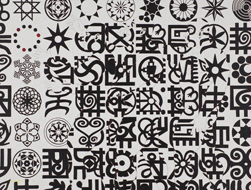 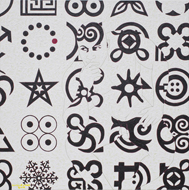 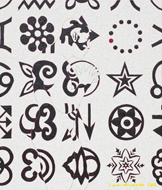 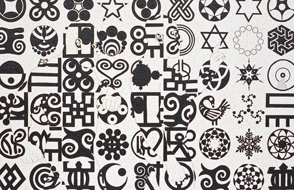 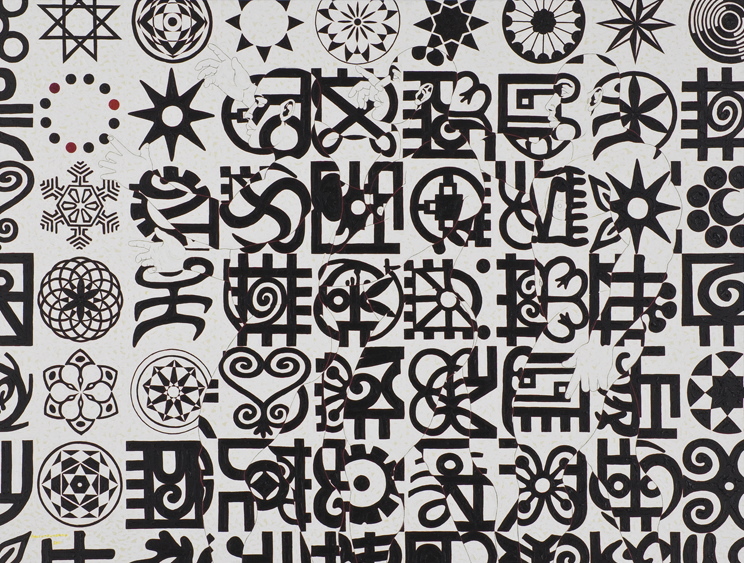 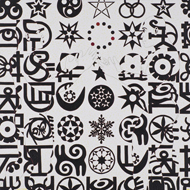 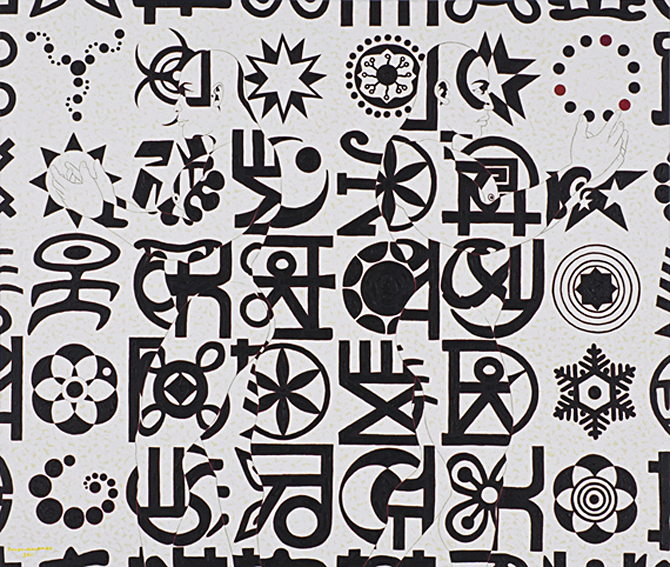 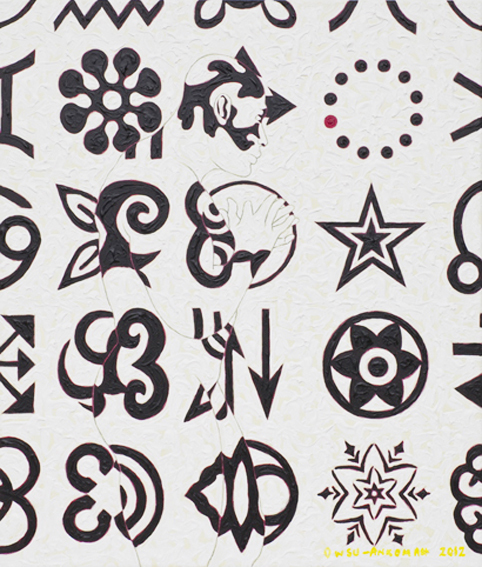 The Asanteman system of adinkra signs provides recurring motifs for the artist's large canvases. 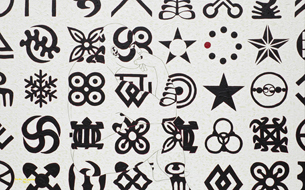 Owusu-Ankomah re-interprets their symbolism in the context of gallery art whilst retaining much of their original meaning. 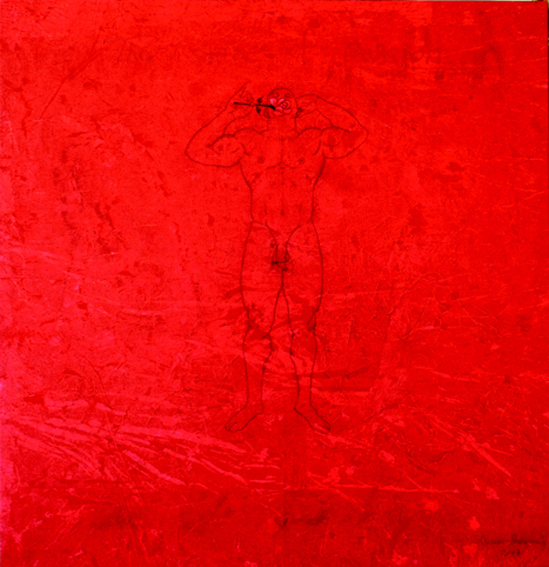 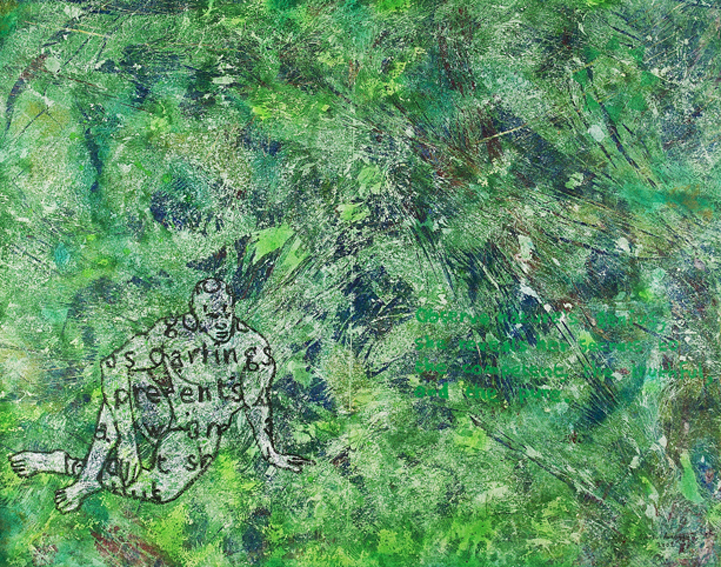 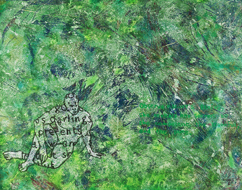 The artist has exhibited throughout Germany as well as internationally in Britain and the USA. 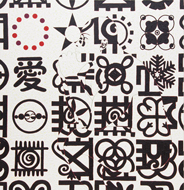 Europe, South Africa, South America and Asia. 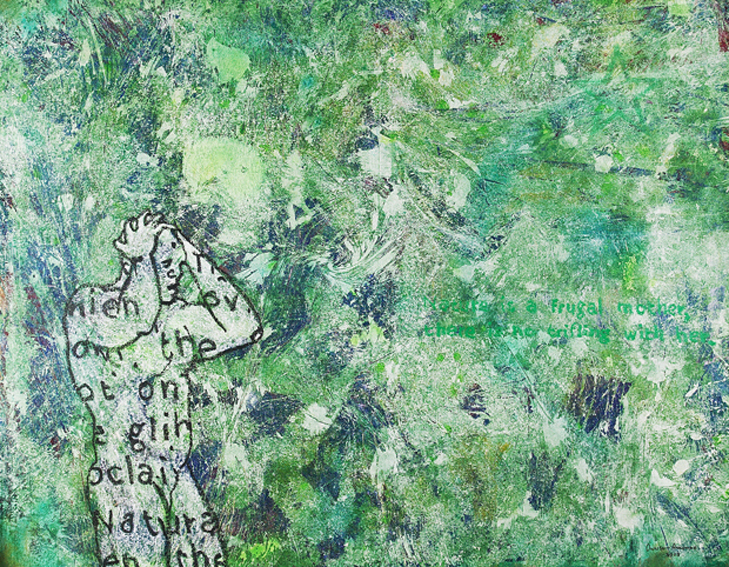 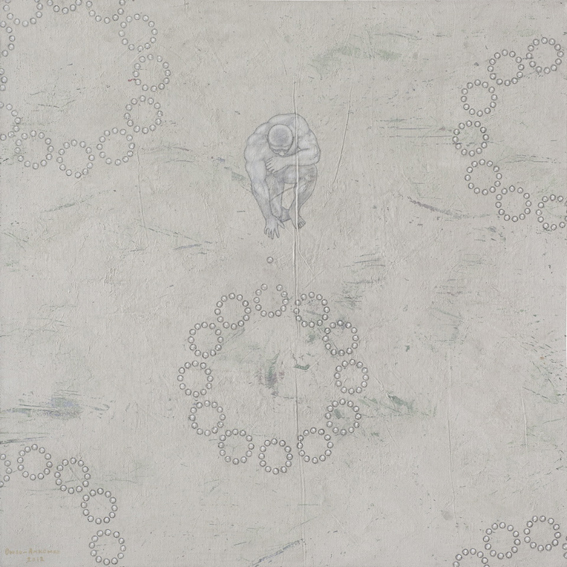 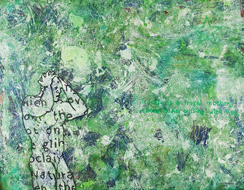 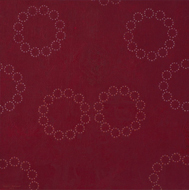 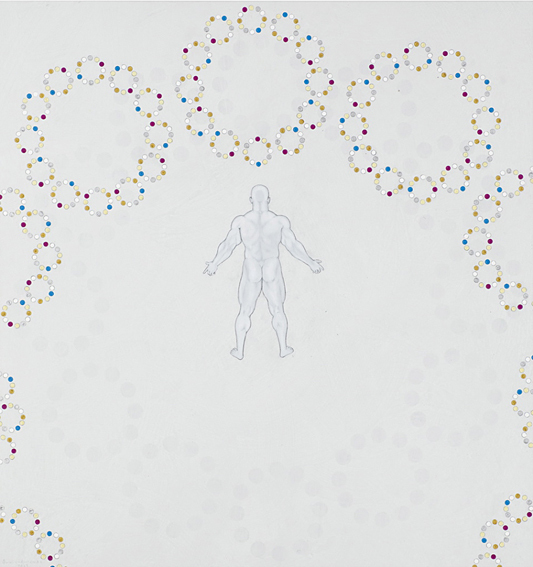 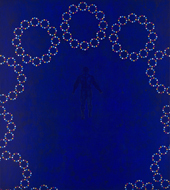 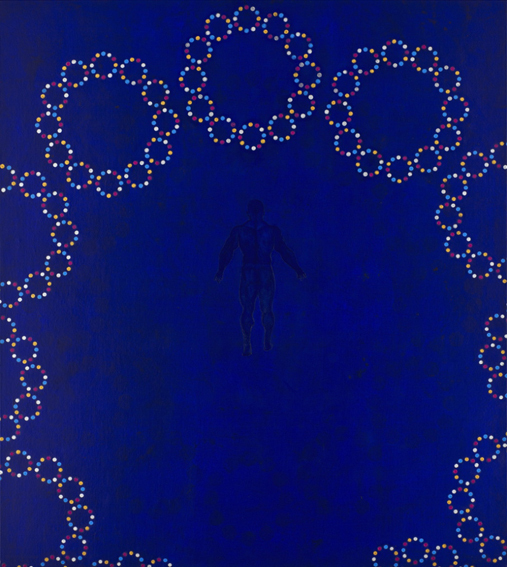 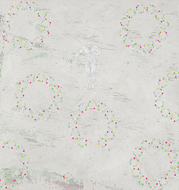 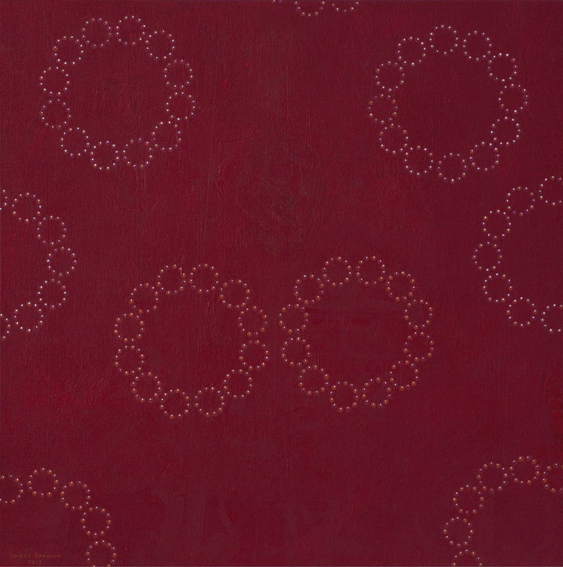 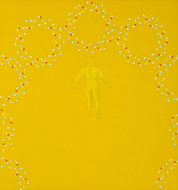 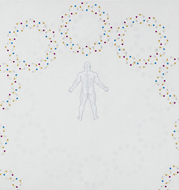 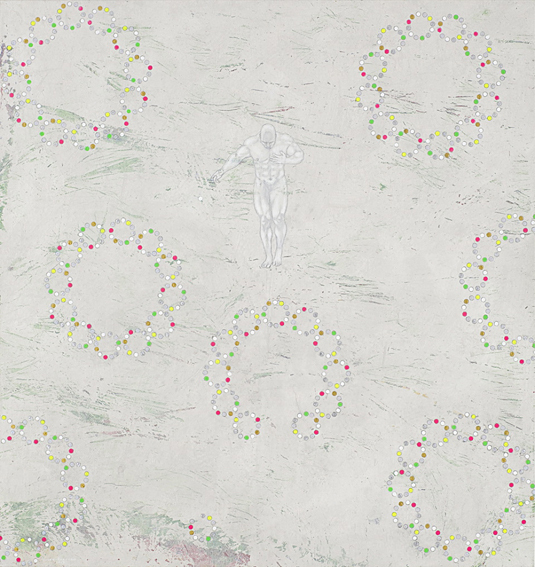 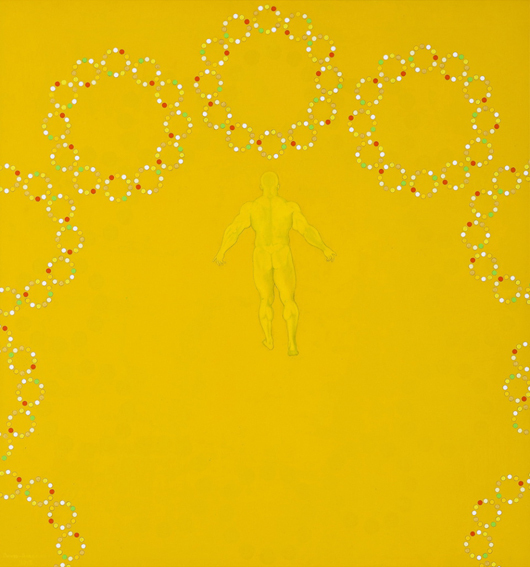 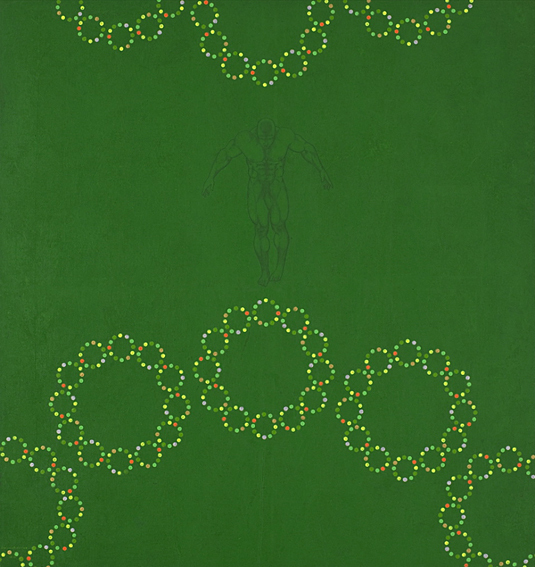 His recent paintings deal with scientific, technological, metaphysical and spiritual facts and truths. 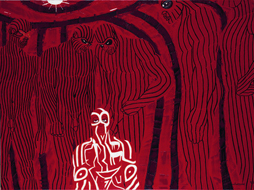 The evolution of the human, consciousness, the nonlocality of the soul and it's eternal progression. 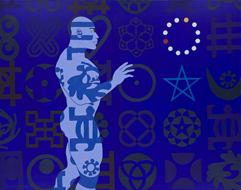 He believes emphatically that there has been other ancient highly advanced civilizations before Egypt who were adepts in sacred geometry which he uses in his work. 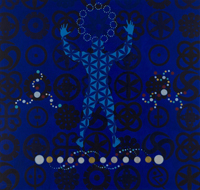 He has recognized and presented in his latest works more crop circles, his way of bearing witness to the truth underlying the fact that we are not alone in the universe, that we've been visited and are still being visited. 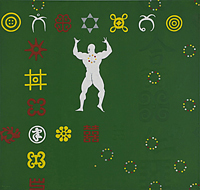 Between the period of 2004 and 2008 he lived and cultivated the lifestyle of a hermit, reflecting, meditating and researching, coining the word Microcron. 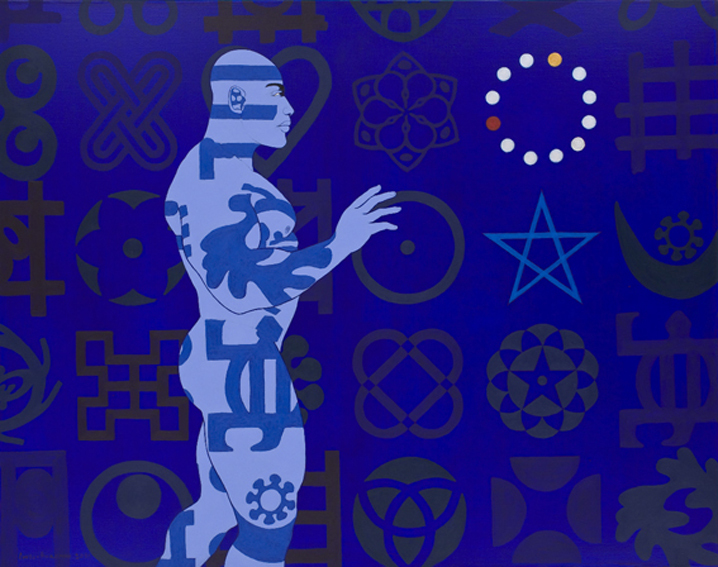 He had discovered as he said and says, the ultimate symbol, the symbol of symbols with it's accompanying theory and philosophy he also calls the Microcron.